I spent a brilliant three hours with Mark, learning all sorts of useful ideas and tips about how to get better results when doing my own woodworking projects at home. Came out of the morning with a lovely little sconce I'd made, too. Will definitely go again. Just what I was after! I wanted to improve my knowledge of carpentry, but not enrol on a formal, lengthy course. The workshop is set in a lovely quiet mews in central Hove. It was a perfect length and very informative. Learnt basic techniques. Mark is a natural teacher. Would thoroughly recommend. I will definitely be doing more courses and may even do a whole day 1:1 to produce a piece I have been planning to build. 5 stars. I went to a 'DIY Basics' half day class and came away feeling great, informed and confident. Mark asked what we hoped to learn and then went straight to it - delivering exactly that. His teaching is very informal (which put me at ease) but thoroughly informative and he's hugely encouraging. I went in not knowing much and came out feeling confident about tackling those jobs round the house that I'd like to do myself. If you're not feeling confident about going you should REALLY just GO ! Can’t recommend Mark’s lessons enough! I recent took a single evening course on a Monday, as soon as I got home I booked onto a six week course to build a small cupboard starting the same week! Mark is a great teacher and has an endless amount of knowledge at his disposal. He had such a likeable and friendly approach and I hope to book onto another course soon! The classes are really fun and I can’t thank Mark enough, I had a great time! Well done Mark. A great set-up. Perfect introduction to carpentry in a relaxed setting. Coming back for more. I've just discovered woodworking and wanted to go on a course to ignite my passion. 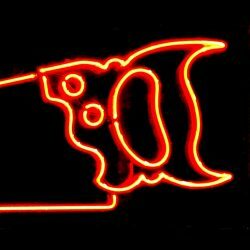 I am so pleased I found Mark Cass/ Neon Saw. He is a fantastic teacher - so passionate, so knowledgeable and above all a lot of fun. I'm now hungry to build lots of wooden things. I just finished a six week course making a small cupboard and had a great time. The course was structured and paced really well, with each lesson focused around a specific part of the cupboard. I loved Mark's teaching style, the techniques were explained simply and he creates a really relaxed atmosphere. Like the other reviewers I will definitely be signing up for another course soon. I did the Liddled Box Class. Great fun. Mark is a really nice guy. He explained everything clearly and simply. There were 4 of us, with plenty of space to work and lots of decent (sharp) tools to play with.... Perfect if you need to learn a few skills and end up with a little box to take home. I’ve now done 2 courses with Mark as an absolute beginner, making a lidded box (day) and small cupboard (6 week evening class). I can’t recall any better spent money than this in recent memory. 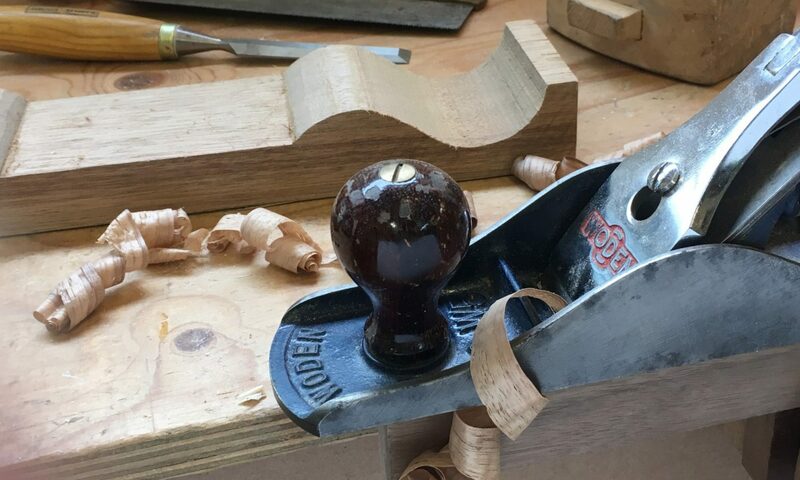 Mark will teach you an array of skills using the vast amount of handheld & machine tools in the workshop, in a relaxed setting with patience and good humour chucked in on the side. And a nice cuppa from a snazzy kettle. You will not be disappointed!